Data warehousing and business intelligence are two terms that are a common source of confusion, both inside and outside of the information technology (IT) industry. Usually, data warehousing refers to the technology used to actually create a repository of data. Business intelligence refers to the tools and applications used in the analysis and interpretation of data. These two elements have grown substantially and are forecast to experience continued growth into the future. Data warehousing is comprised of two primary tools: databases and hardware. In a data warehouse, there are multiple databases and data tables used to store information. These tables are related to each other through the use of common information or keys. The size of a data warehouse is limited by the storage capacity of the hardware. The hardware required for a data warehouse includes a server, hard drives, and processors. In most organizations, the data is accessible via the shared network or Intranet. A data architect usually is responsible for setting up the database structure and managing the process for the updating of data from the original sources. Business intelligence is a term used to describe analytical software. Data warehousing and business intelligence solutions can work together to provide and support a user dashboard that offers customized information to the user. The software provided in a business intelligence solution usually includes the ability to manage large data sets, create queries, and generate reports. An important aspect of any business intelligence solution is the usability. The primary distinction between these solutions is their purpose. A data warehouse is designed to hold and support the transactional data, while the business intelligence solution is used to access and review the data. These terms often are used interchangeably, but mean very different things. Staff members who work with data warehousing and business intelligence tools typically must have a combination of information technology skills. They must be able to manage and support the technology, from both a hardware and software perspective. Additional skills for data warehousing staff usually include relational database management and creation of database structures. 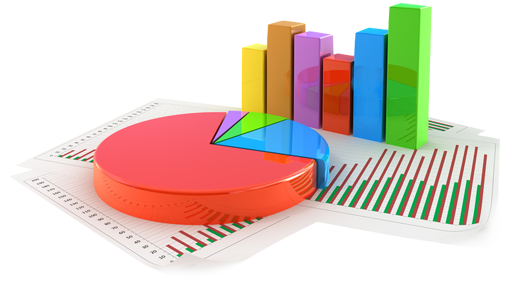 Business intelligence staff usually must have training in statistics and mathematics, as well as programming logic. The growth in these two solutions is due to the maturity of business technology. As organizations accumulated more transactional data, they needed a way to access that data in a meaningful way. These tools are used to create reports that can identify trends and help to inform sound business decisions.